May is my favorite month of the year! Not only because of my birthday, but because everyone is getting ready for summer and there are tons of events and things happening! I don't wear a lot of bright colors but I am absolutely in love with this floral print wrap dress by Denim & Supply Ralph Lauren, just in time for the Ruby Rose concert at Union Square in San Francisco on 5/20! Denim & Supply customers who spend $75 or more on Denim & Supply product at Macy’s Union Square between 4/25 and 5/20, will receive one voucher for one ticket to the concert, while supplies last. Don't miss out, I will be there! 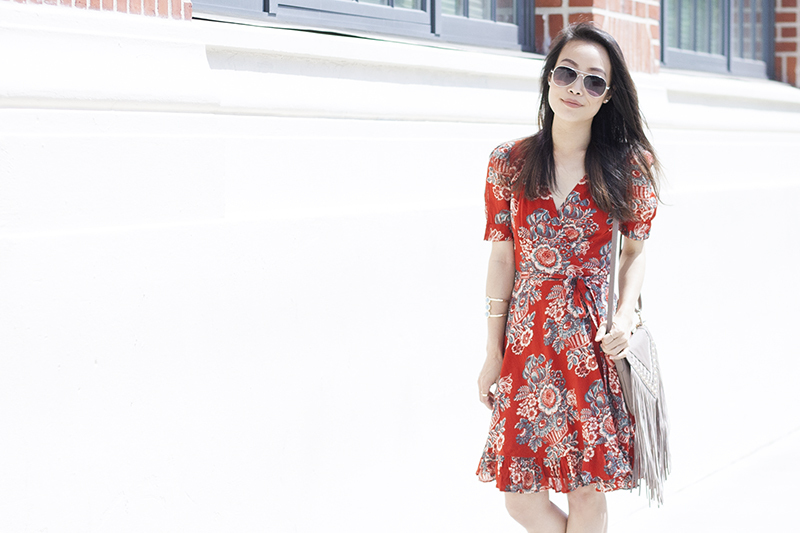 Floral print gauze wrap dress c/o Denim & Supply. 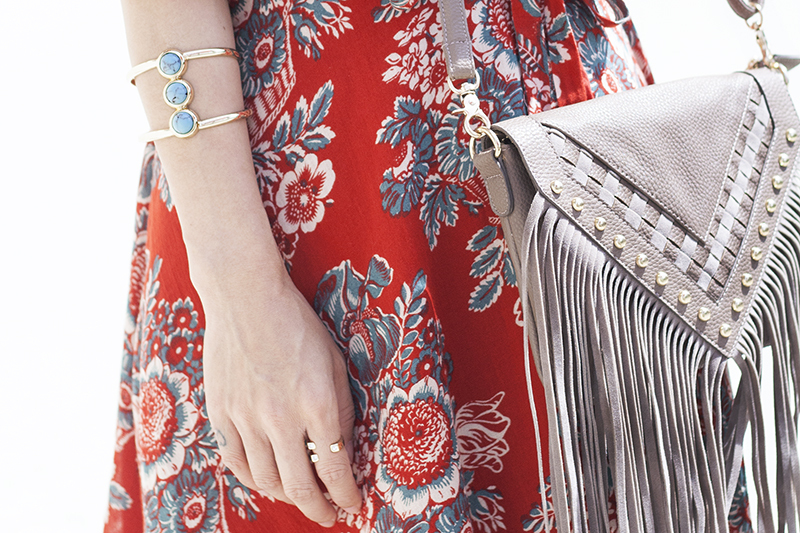 Asymmetrical fringe bag from Le Tote. Turquoise stone cuff from Le Tote. Slip-on booties c/o Charlotte Russe. I really like your frilly dress plus your fringe bag. They look good on you.